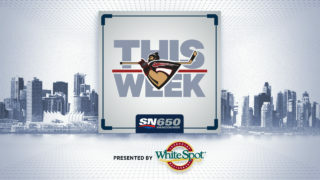 Tonight the Vancouver Giants take their road show down the I-5 to Kent, WA where for they’ll clash with the Seattle Thunderbirds for the third time overall this season, and the first time on the road. 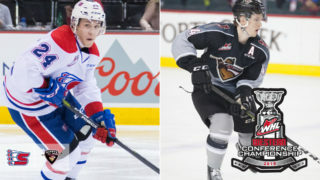 The Giants are looking to erase a modest two-game losing skid while the T-Birds are looking to build off a 6-4 win at home Saturday against Portland. 2000-born forward Dillon Hamaliuk leads all Seattle skaters with 19 points this season, but has struggled lately recording one assist in his past seven games. In two games against the Giants he’s scored twice and added two assists for four points which leads all T-Birds. 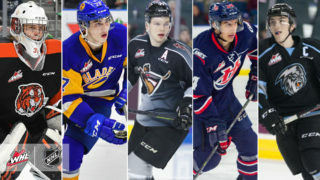 Hamaliuk was an injury replacement for Team WHL during the 2018 Canada Russia Series. 1999-born goaltender Liam Hughes has been a big-time stalwart against the Vancouver Giants. In two games so far this season, Hughes has surrendered just two goals against and has a save percentage of .973. On September 28 at the LEC, Hughes made 32 saves on 33 shots faced and then followed that up with 41 saves on 42 shots faced on October 27th. He was named the first star in both of those games. 1999-born forward Matthew Wedman is coming off a two-goal, one assist performance last Saturday at home against Portland. Wedman comes into tonight’s game with seven goals and 11 assists for 18 points which ranks him second on the team in scoring. In two games against the Giants he’s notched three goals. He’s also a +6 and his 45 penalty minutes leads the team. 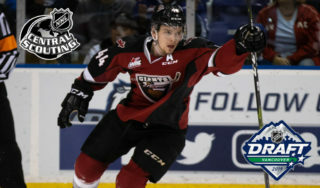 Tonight the Vancouver Giants are heading into hostile ground to battle the Seattle Thunderbirds for the third time. 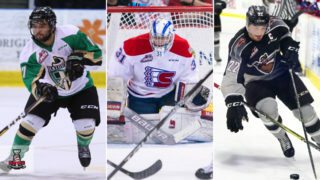 In the two previous meetings the T-Birds beat the Giants 3-1 and 5-1 at the LEC. 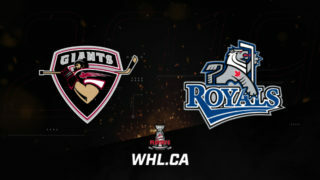 It’s a great opportunity for the Giants who are looking to snag their first road victory since October 14th in Victoria. Since then the Giants have only played two road games. The pre-Thanksgiving Crowd should be fired up tonight which hopefully provides some solid motivation for the Vancouver Giants. Giants forward Davis Koch brings a three-game point streak into tonight’s game. Over the course of the weekend Koch scored twice and added four assists for six points and coming into tonight’s game he sits second on the team in scoring with 19 points. A veteran like Koch is no stranger to big crowds and big stages, and tonight he’ll look to lead the charge for the Giants as they seek victory number 15. 1999-born defenceman Dylan Plouffe is also bringing a three-game point streak into tonight’s game in Seattle. Last weekend Plouffe recorded a goal and three assists and played most of his minutes alongside Alex Kannok Leipert. Plouffe has now reached two goals and 10 assists for 12 points on the season with a +5 rating and 24 penalty minutes.